I realised last night that, other than the Valentine's Day Ruffle Tshirt I made for my girls to wear last February, I haven't done a sewing tutorial for sooo long! I decided to whip up this little hair bow to share with you all :) To make your own pretty bow, you will need to cut two rectangles of material. The first one needs to be 2.5" x 10". This is for the main part of the bow. The smaller part for the middle needs to be 2" x 3". 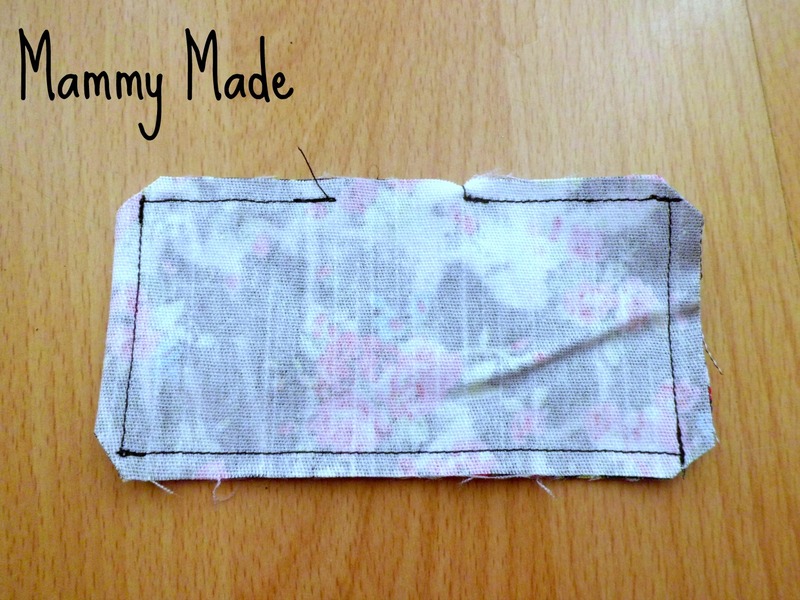 Take your bigger piece first and fold it right sides together, to make a rectangle measuring 2.5" x 5". Stitch all around, leaving a 1" opening in the middle of one of the long edges. Be sure to backstitch at the beginning and end of your stitching line to ensure that it won't unravel when you turn your bow right side out! Clip the corners, making sure not to cut through your stitching line. 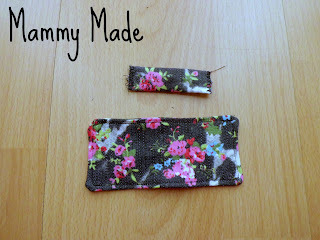 Turn your main piece right side out and topstitch all around, as close to the edge as you can get. 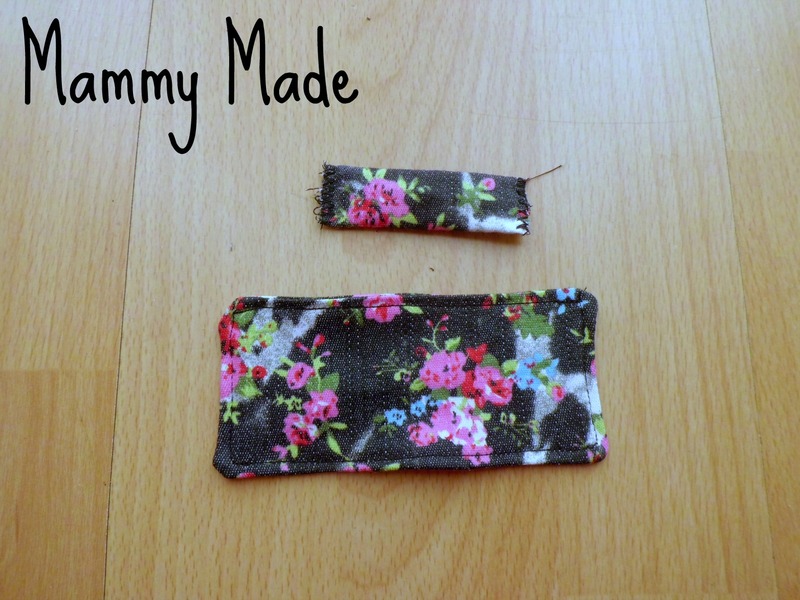 Take your smaller piece and fold it right sides together to get a rectangle measuring 1" x 3". Stitch down the long end to make a tube. 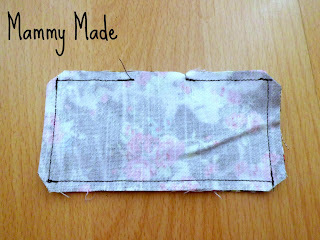 Turn right side out, press the seam to the middle back, then zigzag over your two short edges to finish. 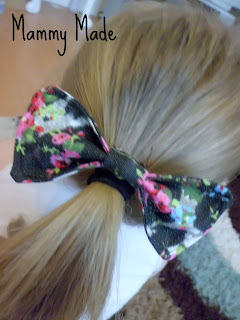 Take your main piece and pinch it in the middle to create the bow effect. 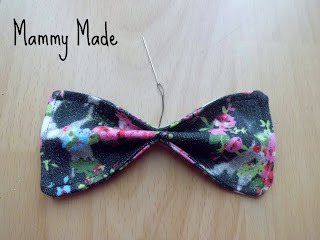 Take a needle and thread and stitch through all 4 layers to hold the bow in place. 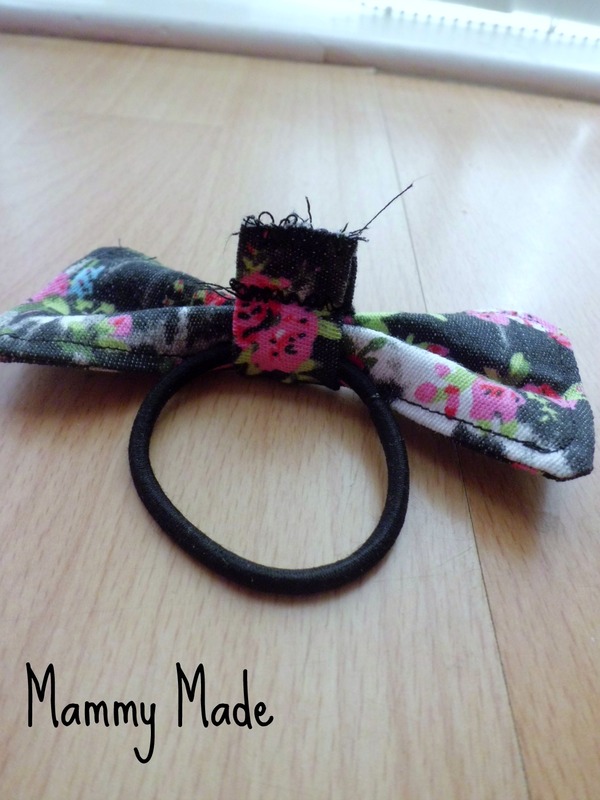 Tie off and weave the end of the thread into the bow to hide it. 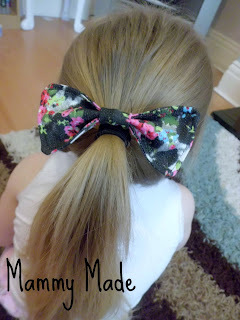 Wrap your smaller rectangle around the middle of the bow to hide your stitching. Wrap it as tightly as you can, then run a zigzag stitch as close to the bow as possible, making sure not to actually stitch through the bow. Cut off as near to your zigzag as you can. I put a hair elastic in mine first to make it a hair bow bobble but you can run a piece of elastic through instead to make a bow tie or even attach a hair clip at the end.